A native of Mexico, this shrub has slender rush-like stems often weeping with small insignificant leaves. 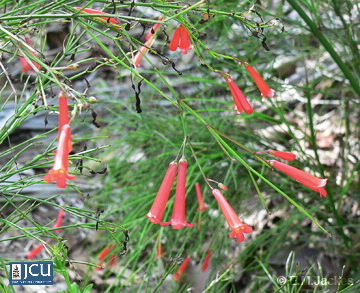 The tubular flowers to 2.5 cm long have a red corolla. Nectar in the flowers attracts small honeyeaters and sunbirds.